Superdry women's Lara Broderie vest. 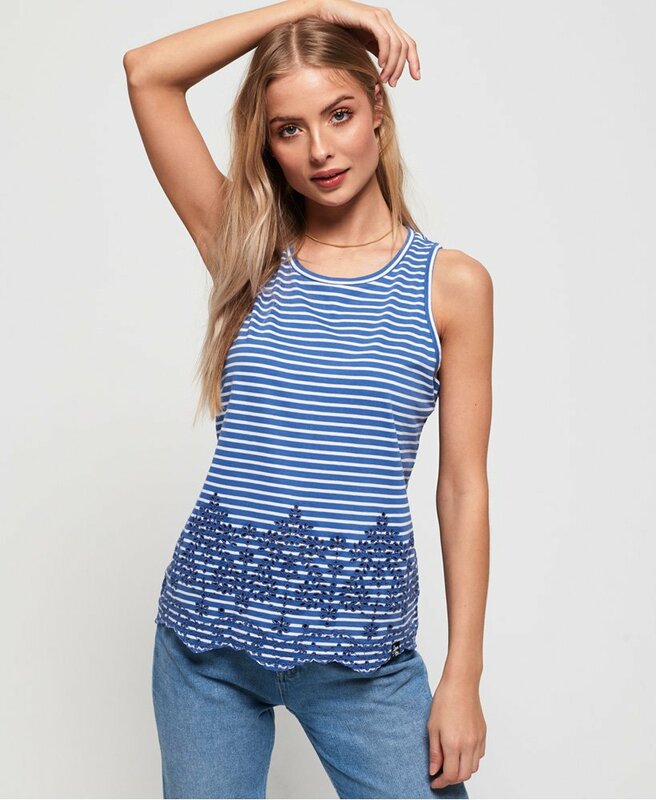 This vest top featuring floral cut-out detailing and a scallop hem can be paired with denim shorts or skinny jeans for a chic look this season. This vest is finished with a logo tab on the hem.